Mequoda’s Digital Magazine Market Study, conducted in Q2 2015, polled 3,642 US adults with Internet access. The study found that 1/3 of them report reading one or more digital magazine issues in the last 30 days, while more than 2/3 report reading one or more print magazine issues in that same time period. The study also found that consumer spending on digital magazines will top $1.3 billion in 2015 and that above all else, users demand readable and scrollable text on their digital editions. These are just some of the conclusions drawn from the study, available for free download here. Mequoda Group, a company offering strategies and solutions for multiplatform publishers, has become an industry leader in researching, documenting and understanding best practices for digital magazines. Last year the company broke new ground in the industry when it helped a client launch what is believed to be the first-ever web-based digital magazine edition, which allows the magazine to be read exactly like an app edition on any screen size, without restrictions by device or platform. Mequoda’s Digital Magazine Market Study shows that while the digital publishing industry is indeed still evolving, the overall trend is clear: Multiplatform publishing that includes native tablet editions and fully responsive web editions are the future of magazine publishing. Whether a publisher’s revenue comes primarily from selling premium content or from selling advertising and sponsorships, there are substantial and growing revenue streams to be developed. Nearly 37% of survey respondents reported having read an average of 2.37 digital magazine issues in the last 30 days. With the study polling US adults with Internet access, this brings total digital magazine issue circulation to 184 million. Respondents were also clear on what they want in a digital magazine: readable and scrollable text. This makes a strong argument for publishers to invest in creating native tablet editions and responsive web editions, which can be accessed and viewed natively on any device or screen size. Two out of 3 said that 20 articles or less per issue is best and immediate delivery topped their list of coveted digital magazine attributes. 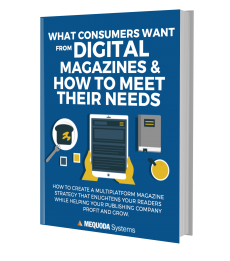 For questions about Mequoda Group and the Mequoda Digital Magazine Market Study, please contact Mequoda’s EVP Kim Mateus, 774.201.1301. 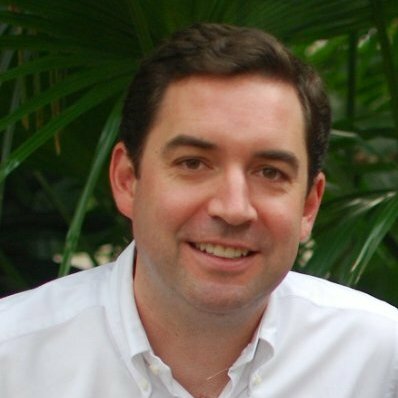 Mequoda Group is a consulting firm specializing in multiplatform strategy for publishers. It offers proven strategies and software solutions to help publishers develop and successfully implement plans to become integrated, multiplatform publishers with growing profitability and dramatically increased exit value. Tagged with advertising, best practices, content, digital edition, digital magazine, digital magazine editions, digital magazine market, digital magazine market study, digital magazine publishing, Digital Magazine Publishing, digital magazines, digital publishing, digital publishing industry, email, high quality content, launching a digital magazine, magazine, magazine consumption, magazine editions, magazine publishing, magazine strategy, magazines, media, mequoda, multiplatform, Multiplatform Magazine, multiplatform media, multiplatform publishers, multiplatform publishing, multiplatform strategy, premium content, print magazine, publishers, publishing industry, scrollable text, selling digital magazines, tablet.